Birthday gifts can be tricky. When you know someone special who has it all, how do you keep the excitement of gift giving alive? How about a well designed, well thought out dinner for 2? 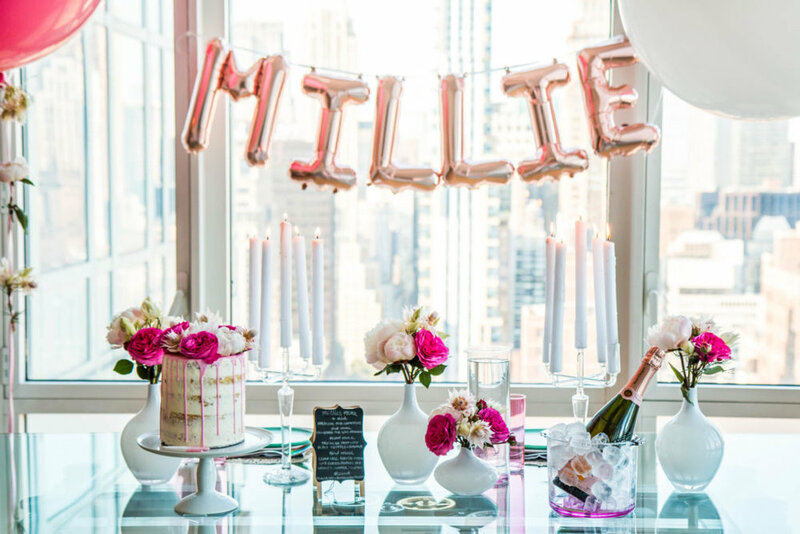 That would be pretty fun to walk into as a birthday girl...don't you think?! Doesn't get cuter than a husband surprising his wife with a beautiful dinner with the most delicious menu. That's what we did here and loved every moment of it. 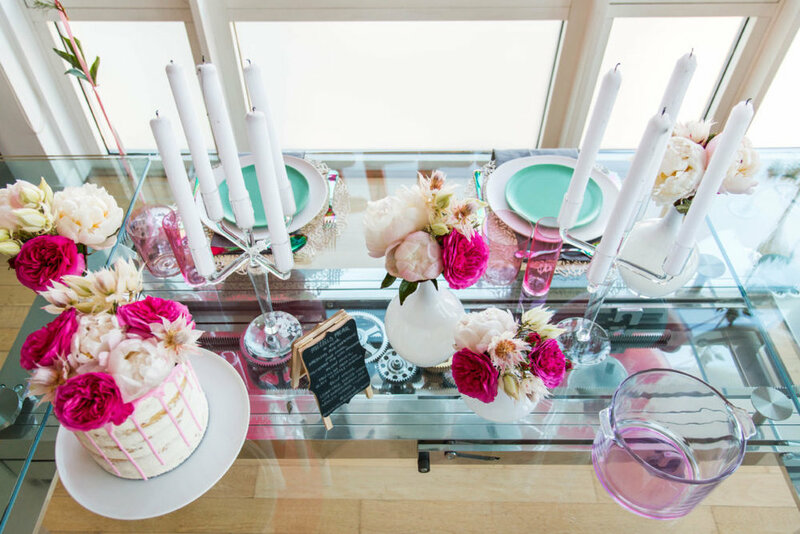 From the stunning table design with plates, utensils, glasses and placemats all from our favorite store CB2, to a bottle of pink champagne, candles and the perfect naked cake from Making that Cake topped with fresh flowers....it was pretty perfect. We brought in a personal chef Linda Sarris who goes by the name The Cheeky Chef to create a delicious, beautiful dinner for the couple. She came into the apartment to prepare the dinner while we set up and once the couple arrived they sat down to a gorgeous appetizer followed by a pasta course and main dish. It smelled (and I know tasted) heavenly. Bravo to the husband who thought of this idea. 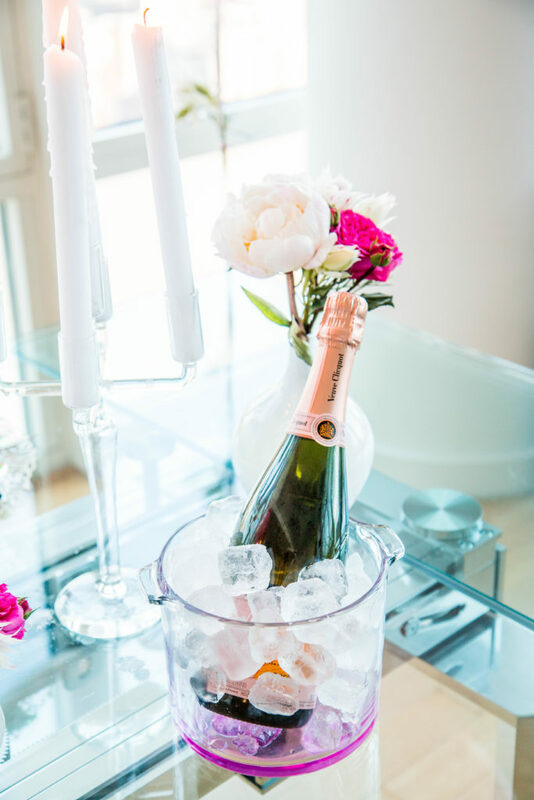 Made for the perfect night for his wife's birthday celebration and surely one she'll never forget.